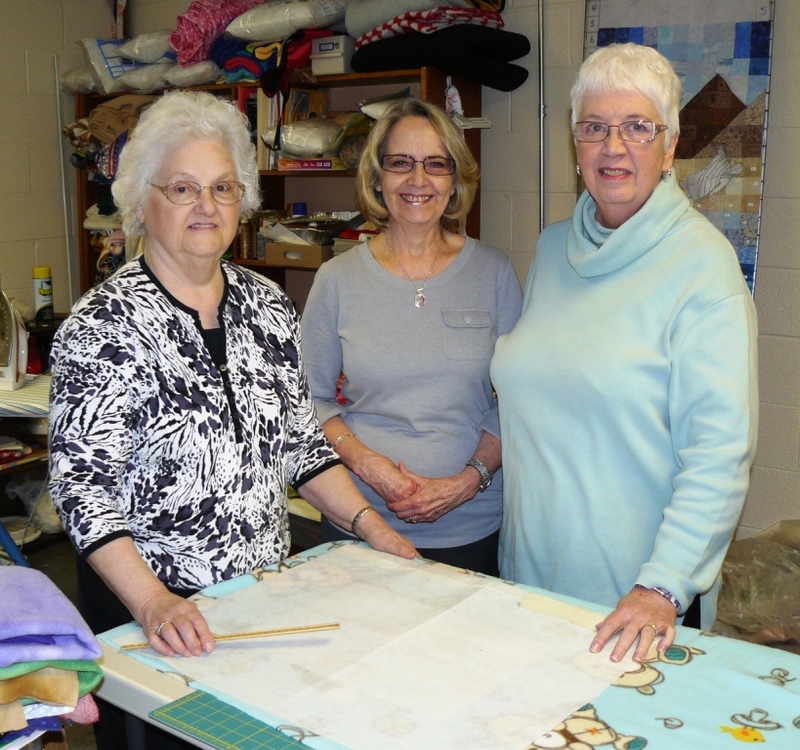 Reaching out to people going through a struggle in their lives has become a vital ministry for the St. Andrew Quilters. 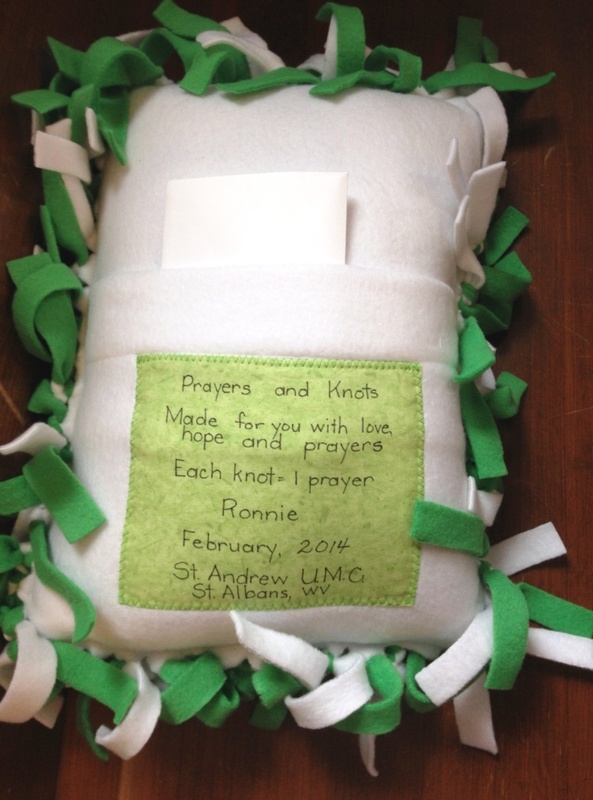 Two weeks after "The Spirit of Andrew" quilt was dedicated, our Prayer Pillow ministry was created. That was February 15, 2009. 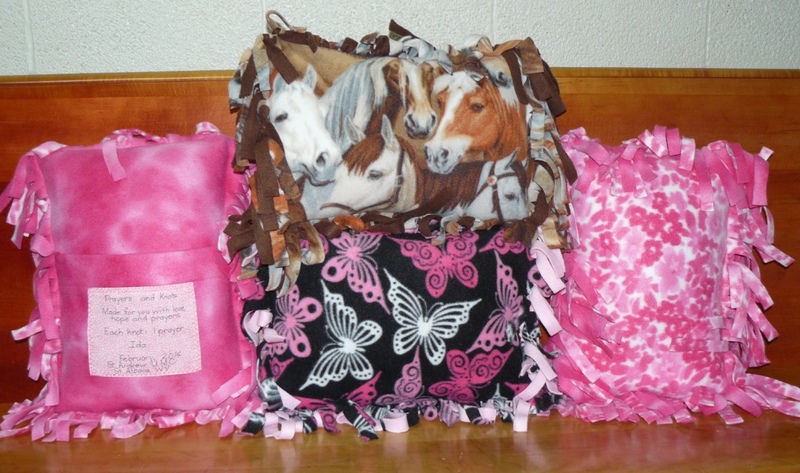 Three years later the Quilters have created and distributed over 300 pillows. 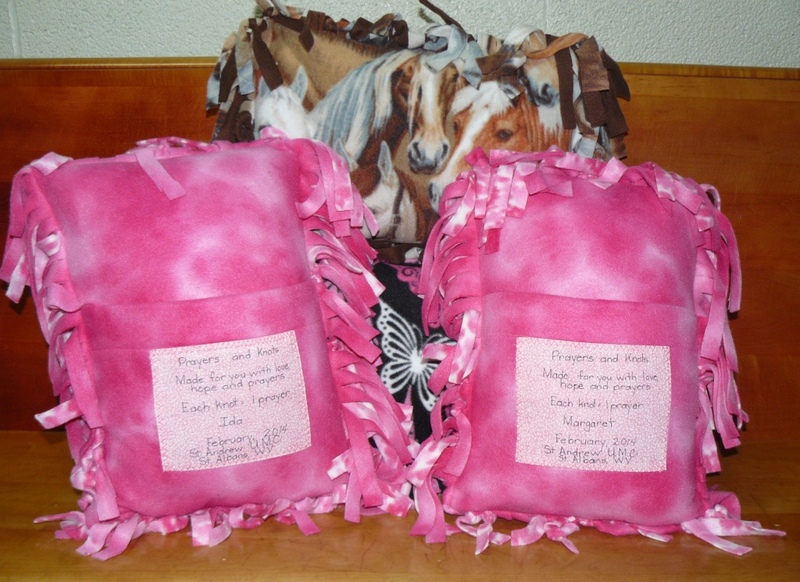 The Prayer Pillows are requested by church members, friends, families or anyone who knows of someone facing a crisis in his or her life. The only requirement is that the person receiving the pillow must be willing to accept both the pillow and the many prayers that accompany it. Each knot tied on the pillow fringe is accompanied by a prayer by the individuals at the time they tie the knot. With a variety of colors and designs in our fabric collection, the pillows are made according to a person's interests or favorite color. 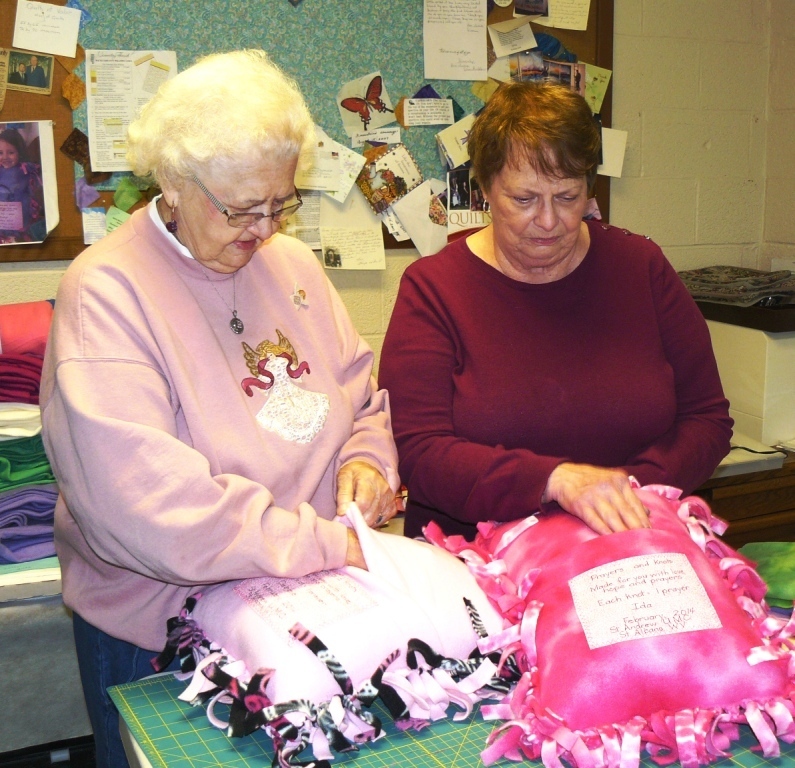 After the Prayer Pillows have been sewn, knots are tied by the congregation and prayers are prayed for the individual and their critical situation. Prayers Pillows have been mailed to Texas, Florida, South Carolina, California, New York, Indiana, Georgia, Ohio, Wyoming, Pennsylvania, Colorado, Missouri, Illinois, North Carolina, Maryland and West Virginia. 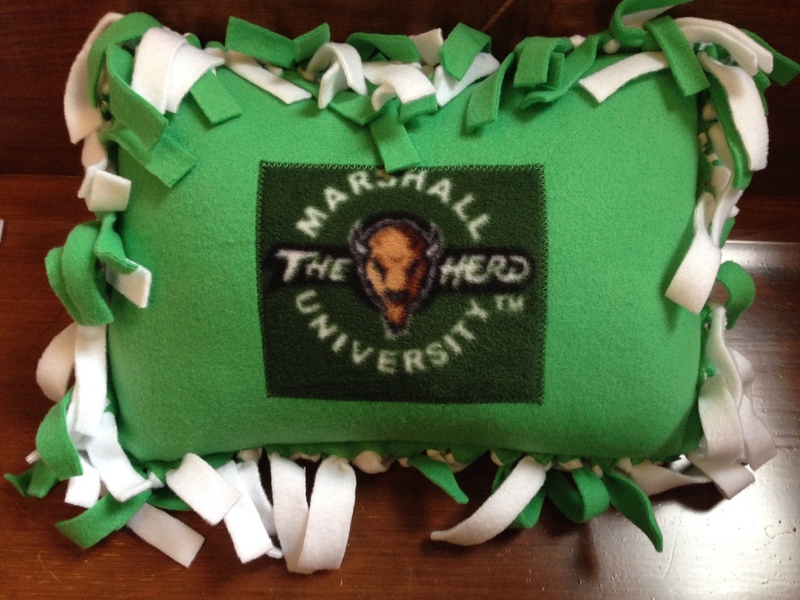 The reponses from recipients of the Prayer Pillows have been overwhelming. 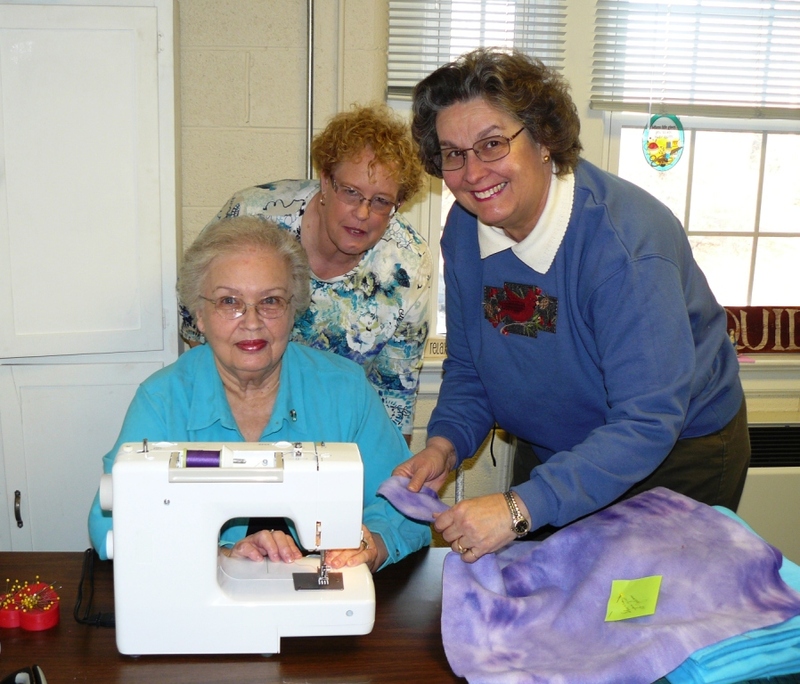 Part of one note received back by the Quilters reads: "Please know as you minister to others in the way, you are acting as God's hands on Earth, and showing His love and grace." This note expresses the Quilters group commitment to this ministry and has become our mission statement.